Breaking Bad Sequel In the Works? 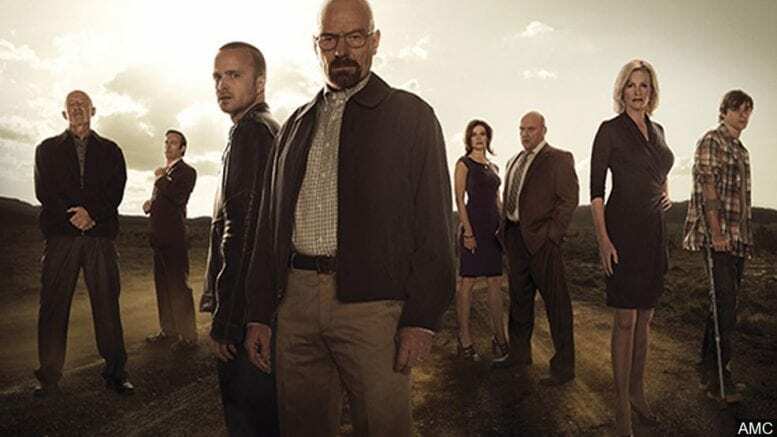 Breaking Bad is considered by many to be one of the best TV shows of all time, and with the series ending almost six years ago in 2013 it is no surprise that many fans have been left begging for more. And the fans have gotten more… kind of. Currently a spin off show named ‘Better Call Saul,” focusing on Walter and Jessie’s lawyer six years before he meets them is currently in its fourth season. The problem is with “Better Call Saul” is it’s not a true prequel or sequel, it’s just a spin-off. If there was a prequel, there’s not much room to work with since Walter was just nerd and a chemistry teacher, and Jesse was just a low-level drug dealer struggling with addiction before he meet Walter. But now fans have some hope. Recently Aaron Paul (Jesse Pinkman) has confirmed that a sequel movie is in the works. The movie has been given the code name “Greenbrier.” The only information we have been given about the movie is the quote, “the escape of a kidnapped man and his quest for freedom.” Many fans are assuming that the kidnapped man is Jesse. Bryan Cranston (Walter White) was asked about a sequel movie last November and said, “If Vince Gilligan asked me to do it, sure, absolutely. He’s a genius, It’s a great story, and there’s a lot of people who felt that they wanted to see some sort of completion to some of these storylines that were left open.“ Currently this is all the information that has been made to the public about the movie. Be the first to comment on "Breaking Bad Sequel In the Works?"